Thanks to Captain Mike Jones and the assistance of local bodybuilders and fitness trainers, the residents of Summerhaven were recently treated to an enjoyable fishing trip, which saw all the residents return to shore having caught fish. 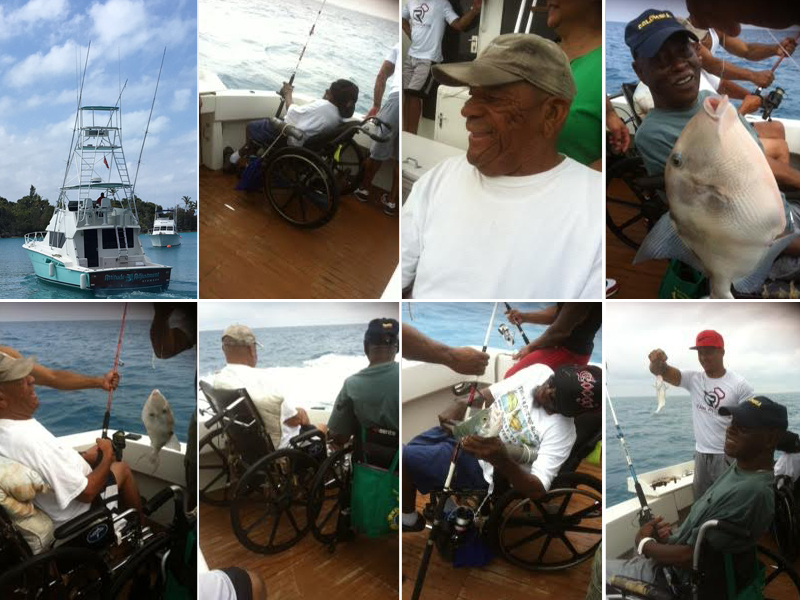 “Recently we did our Charter Fishing Excursion and a great time had by all. We would like to publicly thank our generous sponsors: Dowling’s Marine, Bermuda Security Services, Ms. Colette Simmons, Ms. Franzetta Parker, Mr. Calex Todd and Mr. John Powell,” a spokesperson said. 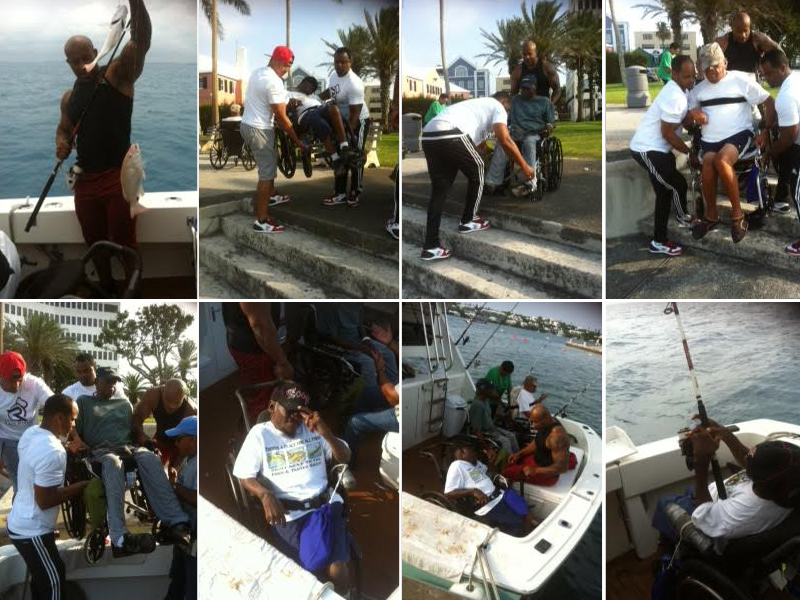 “We especially want to thank Captain Mike Jones and his fishing yacht ‘Attitude Adjustment’ and the bodybuilders and fitness trainers who went along to help load and unload our wheelchair using residents: Albert Woolridge, Destination Transformation and Chico Babon, Malachi Astwood and Bilial Binns from Raw Fitness Lifestyle. Fantastic! Absolutely uplifting story to end the day great work and effort by all. WHAT joy we can bring to others that are suffering! FANTASTIC job guys!!! You should be soooo proud. These are the news stories I want to read! Happy to see that the residents got a rest from Mr. John Powell(chairman/Administrator)and mess that he has created. Nice story! Mike has always been a stand up guy…always willing to help even from our days fishing at Hogfish Hill as preteens and teenagers! Very gifted and knowledgeable about fishing from a young age. Summerhaven is also very thankful to the Royal Bermuda Yacht Club (RBYC) for providing free lunches for everyone. Great story. So nice to see and read about good people doing good things. So tired of reading about violence, gangs, drugs and even more so recently, traffic fatalities and accidents. Well done Captain Mike and all of your helpers. Keep up these acts of kindness. Go Captain Mike and Crew great work!! I wish I could post this 1000 times to say Awesome!! Great initiative and inspiring to say the least. Well done all!